When I started looking for a work at home job – I didn’t care what the job entailed. I just knew that I needed to make some money and I wanted to be at home with my daughter. I searched online, checked out the wants ads, and even asked past employers if there was ANYTHING that I could do for them. I was willing to do data entry, make phone calls, complete research, run errands, anything … I was desperate! Unfortunately, desperation is often what leads to scams. And I came across a ton of them. 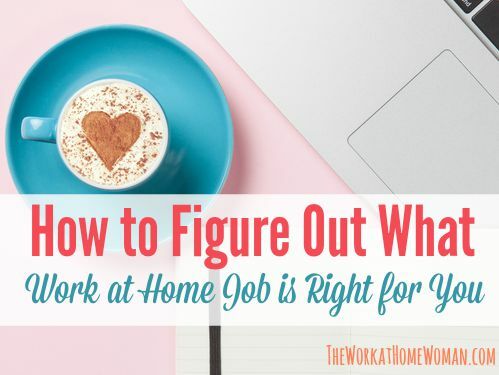 When you’re looking for a work at home job you need to be clear in your intent; meaning you need to slow down and take inventory before you begin your search. What are your passions, skills, and prior experience? Do you need health insurance? Do you need a flexible schedule or can you commit to regular day-time hours? When you cast your net too wide, you fail to find the right job for you, because your search is not targeted. 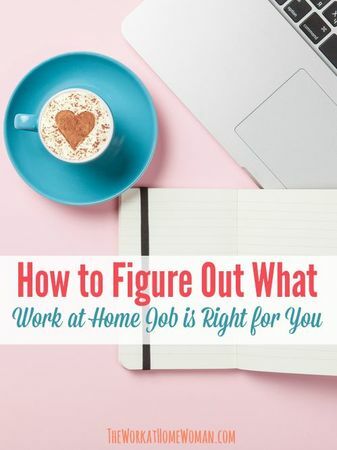 To assist you on your work at home journey, here are 7 common work at home themes, companies, jobs, and ideas that will fast-track your search. You hear this all the time — you should never have to pay for a work at home job. And for the most part this is true … however many companies that hire remote workers, do require potential employees to pay for things like criminal background checks, drug screens, credit checks, and training manuals. Luckily, there are a lot of companies that don’t charge a penny! Here are some to get you started. Need more suggestions? Real Ways to Earn has a big list of work at home jobs that don’t charge a fee. One additional note on fees. Most companies do require you to have your own laptop, high-speed internet connection, and headset. Check out this article for more info on what equipment you need to work from home. 24/7 Virtual Assistant – Hires Virtual Assistants to complete tasks for clients around the globe. They hire both full-time and part-time Assistants to work around the clock. Apple – Hires At Home Advisors for daytime shifts, mid-day shifts, and graveyard shifts. Must have the ability to work some weekends and holidays, but there is the possibility to flex up or down depending upon business needs. Contract World – Hires Remote Contract Agents in the US and Canada. You can work as many or as few hours as you’d like, as long as you satisfy your client’s needs. DVMelite – Hires Client Advocates, Sales Reps, Marketing Managers, and Client Service Champions. Must be able to work 4 hours a day, Monday – Friday, but your work schedule is flexible. FancyHands – Hires Assistants for appointment setting, internet research, and data entry. Assistants are paid per task and can work around the clock. Gabbyville – Hires Virtual Receptionists. Hours are Monday – Friday, 9am – 8pm and you can chose to work full-time or part-time hours. iSoftStone – Hires Web Evaluators and Crowd Workers in the US, Canada, and Australia. You can choose to work 10 – 25 hours per week. Just Answer – Hires Experts to share their knowledge online. With this opportunity you can work anytime; however it’s more of a side gig than a part-time or full-time job. Liveops – Hires Agents for sales calls, healthcare calls, insurance sales and claims, as well as general customer service. You can work as many or as few hours as you like. You can even schedule your time in blocks of 30 minute increments. VoiceLog – Hires Live Operators for 2, 3, 4, 5, and 6 hour shifts. Must be able to work between 2pm CST to 11pm CST Monday-Friday and every other weekend. Transcription work is another flexible job you can do from from home. With this work you’re sent audio files that need to be transcribed into written documents. As long as you can meet your client’s deadline, you’re able to do this work any day of the week, anytime. This article lists hiring companies and everything else you need to know about transcription work. Want to start your own business or work as a freelancer? Check out this article for some super flexible business ideas. When I was searching for a work at home job, I did many of these side gigs to bring in money. While most people use these methods to bring in extra cash, some people make full-time careers out of working side gigs. In fact, Lori Cheek launched her mobile dating app just by completing side jobs. I’ve been working for myself for the past 7 years and I absolutely love it! I’m able to increase or decrease my hours as needed. I’m doing work that I love and there’s no limit to how much I can make … pretty awesome! If you’d like to be your own boss here are some great work at home businesses to consider. Need more ideas? Check out this article, 99 Work at Home Career Ideas for Women. I Don’t Want to Take Phone Calls! One of the most prevalent work at home jobs is that of the Customer Service Agent. While this is a good gig for many individuals, a lot of people just don’t want to be on the phone — which I totally understand. If you’re looking for a non-phone job here are some gigs to consider. Copywriter – Are you persuasive? Copywriters write the words in TV commercials, radio ads, magazines, newspapers, billboards, flyers, websites, catalogs, and direct mailings – wherever something is being sold, copywriters are hard at work writing alluring and compelling advertisements. Resume Writer – Do you have a way with words? Professional Resume Writers use words and formatting to create powerful images to sell a job seeker to a potential employer. Social Media Manager – Are you a social butterfly? Social Media Managers help companies and businesses market themselves through the various social media channels. In an depth knowledge of the various platforms and having your own active accounts is a great way to get started. Teacher – Do you love kids? If you have an active teaching certificate and a Bachelor’s Degree you may be eligible to teach online. Everything from kindergarten to grade 12 are available with lots of variety in subject matter and topics. Check out this post for more opportunities for teachers and tutors. Translator – Are you fluent in more than one language? If you can speak more than one language and you’re accurate, you may be eligible to complete translation work. Many companies will require you to take fluency test, but once you pass, you’re good to go. Website Tester – Are you tech savvy? If you can navigate your way around the web, you can make up to $10 for 15 – 20 minutes of work. Most companies require you pass an evaluator test before you can begin. Check out this article for more sites that offer website testing gigs. Didn’t find what you’re looking for? Here are 10 more jobs that don’t require phone work. If you’re not covered under your significant other’s health plan, you will need to find a company that offers insurance. If you’re able to work full-time hours, you’ll have a relatively easy time finding companies that offer health benefits. In fact, I have a huge list of legit companies that offer employee benefits. If you’re only able to work part-time hours — it becomes more of a challenge. However I did find a few companies that offer benefits for part-time employees. Apple – Hires At Home Advisors and Team Managers. Enterprise Rent-A-Car – Hires Bilingual Rental Reservation Reps and Customer Service Reps.
Nike – Hires Equipment Designers, Apparel Designers, Digital Community Managers, Sales Executives, Business Planners, Administrative Assistants, and Business Analysts. Staples – Remote Technical Support and Account Managers. Starbucks – Hires remote Human Resource Associates and Administrative Assistants. SYKES Home – Hire Customer Care Professionals. U-Haul – Hires Customer Service Agents, U-Box Agents, and Center Sales Agents. Still having trouble finding the right fit? Leave a comment below with your passions, skills, and requirements and I’ll reply with some personalized suggestions.